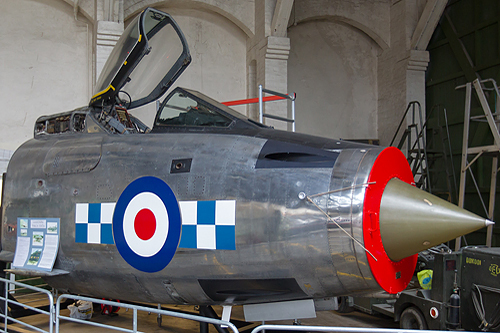 The Boscombe Down Aviation Collection (BDAC) was formally opened by the late Air Commodore Colin Cruickshanks on April 1st, 1999, but was implanted on the operational base and not open permanently for the visitors, until it moved to Old Sarum and opened to the public on July 1st, 2012. The BDAC became a private non profit company limited by guarantee in May 2007 and then a registered Charity in June 2011. The Collection is based on aircraft, vehicles and artefacts historically associated with the Boscombe Down airbase. The Collection is run by the Members and is staffed by volunteers. 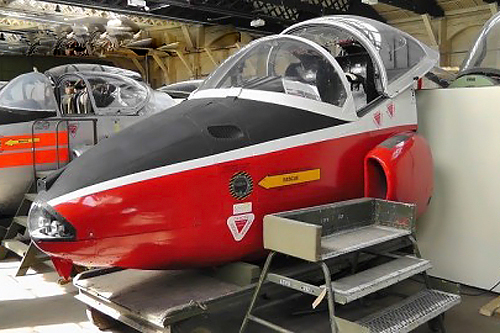 The Boscombe Down Aviation Collection (BDAC) tells the history of Boscombe Down and explains the place it has in the history of flight and air test. 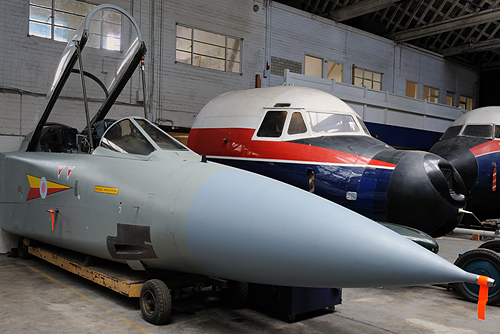 In essence the aim is to preserve the past for the future, the same goal as every aeronautical museum. Military flying began at Boscombe Down in 1917 and continues to the present day. Experimental operation began in 1940 and the site remains at the forefront for testing as the UK's and Western Europe's only dedicated military flight test centre. 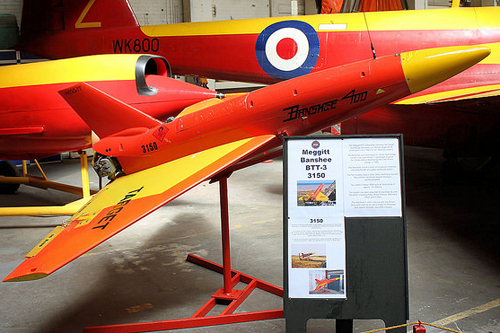 Boscombe Down has played a major role in the history of flight and air test. 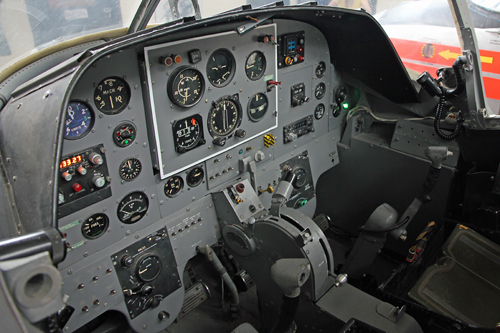 The major aim is to bring this story to life by restorations, construction of replicas and allowing people to experience sitting in some powered cockpits. MoD Boscombe Down (ICAO: EGDM) is an aircraft testing site located at Amesbury in Wiltshire. It is run and managed by QinetiQ, the company created as part of the breakup of the Defence Evaluation and Research Agency in 2001 by the UK Ministry of Defence. It is also the home of the Empire Test Pilots' School. 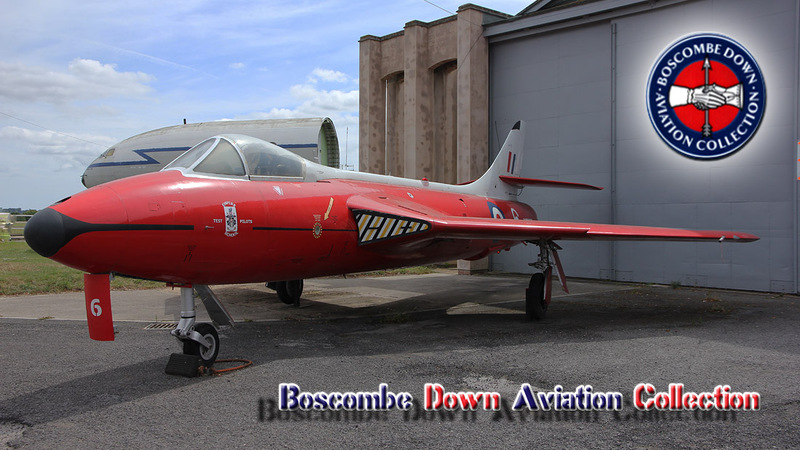 The site was formerly known as RAF Boscombe Down and since 1939 has evaluated aircraft for the British armed forces. Aircraft testing at the airfield started when the Aeroplane and Armament Experimental Establishment (A&AEE) moved in from RAF Martlesham Heath in August 1939, as the Second World War hostilities started and the airfield was known as RAF Boscombe Down. 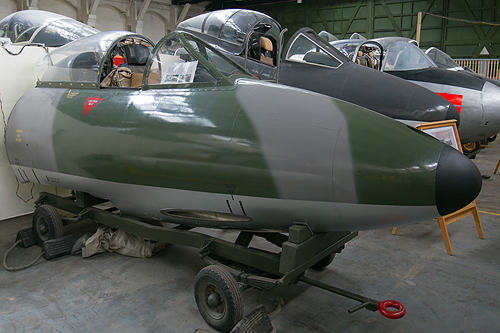 The site has witnessed many significant developments in the British aviation industry, including trials of many aircraft flown by the British armed forces since the Second World War, such as the first flights of the English Electric P 1, forerunner of the English Electric Lightning, the Folland Gnat and Midge, the Hawker P.1067 (the Hunter prototype), the Westland Wyvern and the BAC TSR.2. It was also formerly home to the School of Aviation Medicine. In 1992 the site was renamed to the Aircraft and Armament Evaluation Establishment when experimental work moved onto the Defence Research Agency. Responsibility for the site in 1993 passed from the MoD Procurement Executive to the Defence Test and Evaluation Organisation (DTEO) and subsequently to the Defence Evaluation and Research Agency in 1995. Following the creation of QinetiQ in 2001, a 25-year Long Term Partnering Agreement (LTPA) was established with the Ministry of Defense. 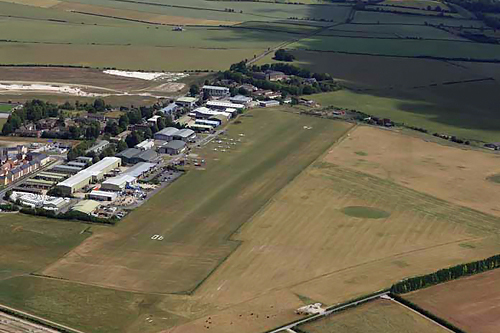 Boscombe Down remains a government airfield but operated by QinetiQ on behalf of the MOD. 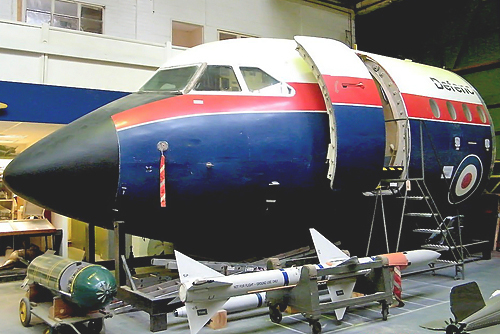 The Joint Test and Evaluation Group was established under the control of RAF Air Command and together with QinetiQ forms the Aircraft Test and Evaluation Centre (ATEC). This unique partnership is charged with the test and evaluation of future and in-service military aircraft. The military personnel of the JTEG play a central role in the test and evaluation process alongside their QinetiQ colleagues. The Heavy Aircraft Test Squadron at MoD Boscombe Down was responsible for the flight testing of heavy aircraft (Multi-engine types). Prior to the title of Heavy Aircraft Test Squadron (HATS) the flight testing of multi-engined aircraft was conducted by "B Squadron". Following-on from B Squadron, the department became known as Fixed Wing Test Squadron; however, during the late 1980's, the name once more changed to that of the Heavy Aircraft Test Squadron. on June 16th, 2009. HATS formally handed over its flight testing duties to the newly re-formed 206(R) Squadron, which forms part of the Air Warfare Centre. Today the site has two runways, one of 3,212 m length and the second 1,914 m. It is home to the Rotary Wing Test Squadron, the Fast Jet Test Squadron, the Heavy Aircraft Test Squadron, Handling Squadron and the Empire Test Pilots' School. It is also currently home to the Southampton University Air Squadron. Boscombe Down has been associated with rumours concerning U.S. black projects. An incident is reported to have occurred there on September 26th, 1994, although evidence is scarce and both the British and American Governments have refused any comment on it. In October 2007 it was announced that RAF Boscombe Down would become a Quick Reaction Alert (QRA) airfield from early 2008, offering round-the-clock fighter coverage for the South and South West of the UK airspace. No. 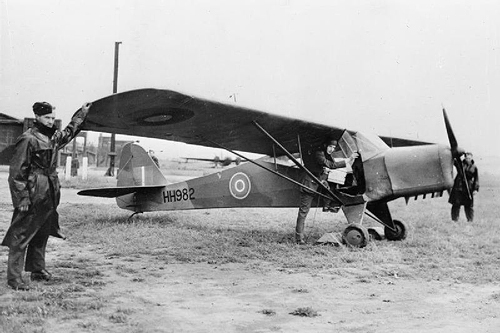 9 Squadron RAF between 1930 and 1935 with the Vickers Virginia. No. 10 Squadron RAF between 1931 and 1937 with the Virginia and the Handley Page Heyford. No. 51 Squadron RAF between 1937 and 1938 with the Virginia, Avro Anson and the Armstrong Whitworth Whitley. No. 88 Squadron RAF between 1937 and 1939 with the Hawker Hind and the Fairey Battle. No. 97 Squadron RAF between 1935 and 1937 with the Heyford. No. 150 Squadron RAF between 1938 and 1939 with the Battle. No. 166 Squadron RAF between 1936 and 1937 with the Heyford. No. 214 Squadron RAF between 1935 and 1935 with the Virginia. No. 217 Squadron RAF between 1937 and 1937 with the Anson. No. 218 Squadron RAF between 1938 and 1939 with the Battle. No. 224 Squadron RAF between 1937 and 1937 with the Anson. No. 35 Squadron RAF during 1940 with the Handley Page Halifax I. No. 56 Squadron RAF during 1940 with the Hawker Hurricane I. No. 109 Squadron RAF between 1940 and 1942 with the Whitley, Anson and Vickers Wellington. No. 249 Squadron RAF during 1940 with the Hurricane. 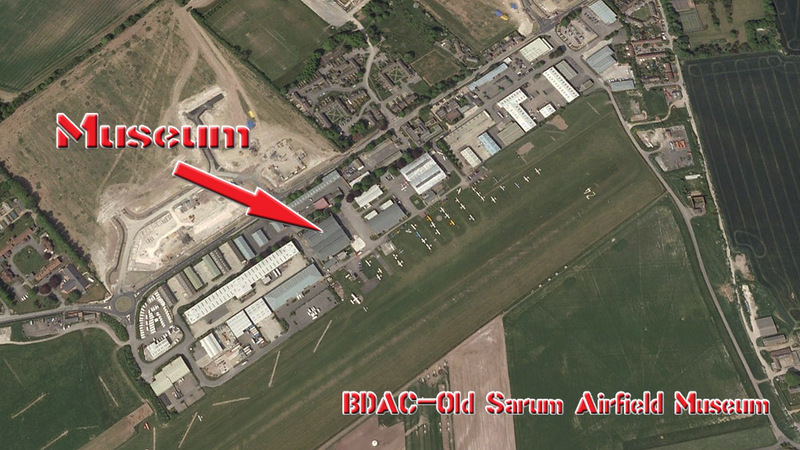 Old Sarum Airfield (ICAO: EGLS) is located 2 nautical miles north northeast of Salisbury. The airfield has a CAA Ordinary Licence (Number P768) that allows flights for the public transport of passengers or for flying instruction as authorized by the licensee (Blanefield Airfield Operations), but the airfield is not licensed for night use. The site is a mix of residential and industrial sites. Residential areas are located to the east, occupying the old airfield quarters and officers' mess, now known as Throgmorton Hall. Industrial and business units occupy a large number of the original World War I and World War II airfield buildings, as well as several large modern warehouses, office blocks and car showrooms, a development which is continuing to the present day. Old Sarum is the best-preserved flying field of the World War I period. It is bounded by one of the most complete suites of technical and hangar buildings of the period. The site for Old Sarum Airfield was selected in 1917, to provide facilities for a training station for the rapidly expanding Royal Flying Corps (RFC). Like many others of this period, the airfield was provided with a cluster of general service sheds and a camp consisting largely of wooden buildings. It was opened in August 1917 and was briefly known at first as "Ford Farm" but very soon instead took the name of the much more distinguished local fortifications. Its first task was to act as a base for the formation of three new day-bomber squadrons which ultimately would be sent across the English Channel to operate in France. The Royal Air Force (RAF) was founded on April 1st, 1918 by the amalgamation of the Royal Flying Corps and Royal Naval Air Service. On the same day a new flying training unit was formed at Old Sarum to become the airfield's principal resident unit. This was the 11 Training Depot Station, which task was the operational training of fresh aircrews. At the end of World War I, Old Sarum was one of the few airfields which were not closed down as part of the post war run-down. 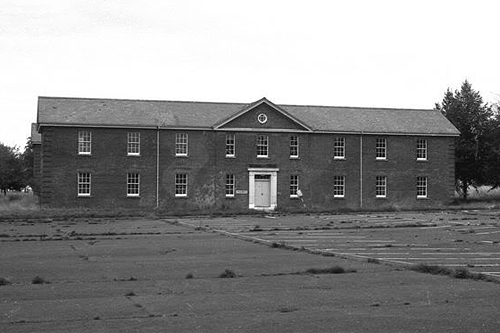 In 1920, 11 Training Squadron was disbanded and preparations were made to turn the station into the permanent home of the School of Army Co-operation. The School was transferred to Old Sarum from Stonehenge in January 1921 and for many years ran mixed courses for Army and Air Force personnel. The prime task was the development of efficient air to ground communication under operational conditions, principally between Army officers, including those of the newly formed armoured forces and the pilots and observers of the RAF Army Cooperation Squadrons. A "Special Duty Flight" was formed here in about 1926 to work with the Experimental Gas School at Porton Down, not far away. This used a handful of aircraft including a Bristol Fighter, a Dart and a Horsley, but was transferred to Netheravon in 1928. In April 1924, 16th Squadron was reformed at Old Sarum for cooperation with the Army units in Southern Command. Initially equipped with Bristol Fighters, it subsequently received the Armstrong Whitworth Atlas, in January 1931 and Audaxes in December 1933. With these types it took part in exercises all over Southern England. In June 1938 it became the first unit equipped with the Westland Lysander. The mid-1930's saw the beginning of the RAF expansion scheme, where many First World War airfield sites were inspected to see if they would be suitable for the new permanent stations which were planned due to the increased threat from Nazi Germany to Britain. 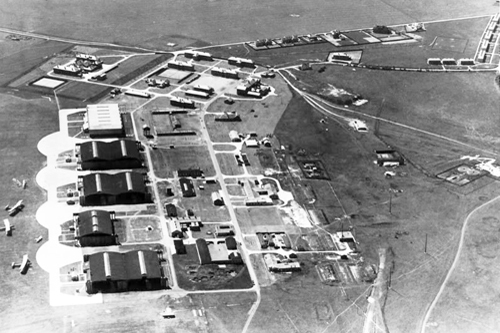 Old Sarum Airfield was identified as being suitable for becoming a permanent station, and the period between 1934 and 1937 saw the development of new domestic, administrative and technical buildings. This development saw also the increase in the area of the airfield occupied by station buildings from 7.5 ha to roughly 22 ha. The flying field remained the same size. Three other operational squadrons were based at the airfield during varying periods between 1935 and 1939. First of these was another army cooperation unit, 13th Squadron, whose Audaxes were based here from May 1935. Next came the Hawker Hinds of a new light bomber squadron, the 107th Squadron which stayed here until 1937. The third unit, 59th Squadron, was actually formed here in June 1937 and was a brand new army cooperation unit especially intended to carry out night reconnaissance, using Hawker Hector aircraft. Subsequently it was decided to replace these with comparatively high performance Bristol Blenheims and in May 1939 the squadron transferred to Andover to make the transition. At the outbreak of the second war the appearance of RAF Old Sarum had changed little. Its line of hangars still looked out onto the grass flying field, while the old Roman road still formed the northern border of the airfield. The squadron continued to be primarily engaged in training and developing ground support techniques, including the spraying of poison gas, although this was never actually used. In February the 16th Squadron left for France via Hawkinge and its place was taken by the first two Canadian flying units to arrive in Britain, the 110th and 112th Royal Canadian Air Force (RCAF) Squadrons. The final operational unit to be based here during this period was 225th Squadron (RAF), another Lysander equipped unit. This took the place of 110th RCAF Squadron on June9th, 1940 and with the growing threat of a Nazi invasion of the Britain, it was engaged in patrolling the south coast for enemy landings. In 1939, the establishment of aircraft was increased to serve the expanding School of Army Cooperation. In February 1940 a new "D" Flight was formed within the School for artillery spotting duties. It was out-stationed at Larkhill to be close to the Royal Artillery camp there and served as the nucleus from which all future Air Observation Post (AOP) units originated. During the Battle of Britain, as losses mounted, the shortage of fighter pilots became so desperate that a number of army cooperation trainees were selected at Old Sarum and immediately sent to Hurricane and Spitfire training units. During the massive campaign of enemy attacks on RAF airfields in the summer and autumn of 1940, Old Sarum escaped lightly but during the night of 11 to 12 May 1941 one hangar was burnt out in an air raid and two aircraft were destroyed. During the first two years of the war, it became clear that higher performance aircraft were needed and so a small number of Hurricanes and Harvards joined the unit in early 1941 and they were soon followed by a flight of Tomahawks. Because of the limitations of the landing ground at Old Sarum, a larger satellite was prepared at Oatlands Hill, some 8 km away to the north-west. Oatlands Hill was equipped with only basic flying facilities and most of the maintenance work had still to be undertaken at Old Sarum but henceforth all higher performance aircraft would carry out their training programs at Oatlands Hill. In August 1941, the first full AOP squadron was formed. This was 651th Squadron and it was equipped with Taylorcrafts, flown by specially trained army pilots. They were frequently detached to Larkhill to train with the gunners there and, in the following spring the squadron joined Army maneuvers, thus establishing the practice of sending small detachments of aircraft to improvised advanced landing grounds "in the field". The advances in size and performance of aircraft types from Lysander to the Tomahawk prompted a reorganization and the Training Wing was designated 41 Operational Training Unit. The development and teaching of methods of artillery reconnaissance were undertaken there from 1942. However, these activities required a permanent runway instead of a flying field, and so 41 OTU was transferred out in 1942. It was replaced by a new Fleet Air Arm Squadron, developing tactical reconnaissance. 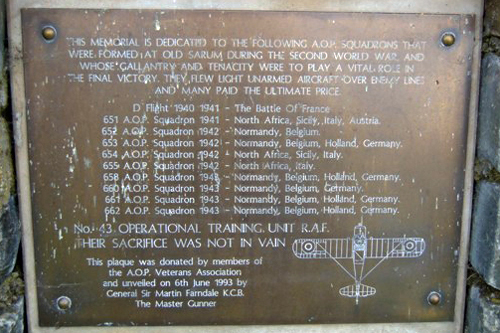 In 1942 Old Sarum became the principal base for the training of AOP with three new squadrons and 43 OTU moved from Larkhill to Old Sarum. While it was engaged in training new pilots, the facilities at Old Sarum continued to be used for the formation of new Auster squadrons. 655th Squadron formed in December 1942 for Southern Command, and took part in the huge "Spartan" exercise in East Anglia in July 1943 which tested the efficiency of Army co-operation squadrons under mobile conditions, and was effectively a rehearsal for the invasion and liberation of North-West Europe. This led to the formation of Tactical Air Forces (TAF), which were created as replacements for RAF Army Cooperation Command. 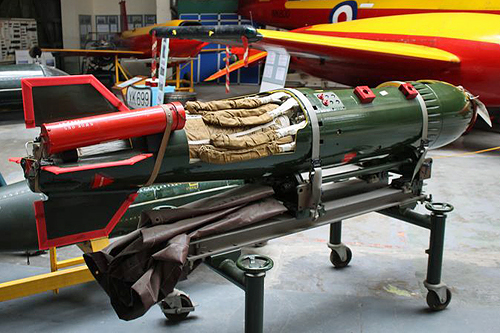 1944 marked the end of a period of major expansion in the AOP squadrons and the spare hangar space at Old Sarum Airfield was used by 3505 Servicing Unit, which maintained numerous aircraft operating in small and scattered detachments to provide practice facilities for Anti-Aircraft and Searchlight sites. Plans for the D-Day landings were well advanced by early 1944 and included the requisition of all of the facilities at Old Sarum to form part of the 2nd TAF Concentration Area. This was, in effect, the hinterland and supply location of the many ports and embarkation points of the ships and landing craft of the invasion forces. All flying training was terminated and 43 OTU left the station entirely. Thousands of ground personnel and virtually all RAF motor transport vehicles destined for Normandy passed through Old Sarum in the D-Day period making it an integral part in the organizational structure of the D-Day landings. Seven large tented camps were set up in the countryside around the airfield and a force of over a thousand fitters was established to undertake the waterproofing of the 25.000 invasion vehicles. A large part of the airfield was used to assemble the long lines of trucks and other vehicles and the station hangars were pressed into service as the principal workshops. As D-Day arrived, there were no less than 34 aircraft at Old Sarum Airfield from three different squadrons (658, 659 and 662) waiting to be called forward. Ground support units, ranging from Sector Headquarters and Signals Wings to Servicing Parties and Repair Units continued to pass through until the flow finally ceased in November. The School of Army Cooperation had been reformed at Old Sarum in June 1943 and was subsequently retitled the RAF School of Army Cooperation. In 1944 it was reorganized as the School of Air Support. It was established with its own small fleet of aircraft. The experiences of war had highlighted the importance of inter service cooperation as never before and increasingly personnel from all three services became based at Old Sarum. In May 1947, the School was re-designated the School of Land and Air Warfare, training Air Force, Army and Navy officers from both the UK and other NATO Countries. On June 26th, 1956, in recognition of its importance and longevity, RAF Old Sarum was honoured by being given the Freedom of the City of Salisbury. At about the same time, the station also became the home of the Army Air Training and Development Centre which whilst was "officed" by the Parachute Regiment mainly consisted of other corps. REME developed parachute drops of light vehicles and artillery whilst RE undertook the training. One new aspect of post war aviation, which was of interest to all three services, was the widespread use of helicopters. Accordingly, on June 1st, 1961, the RAF element of the Helicopter Development Unit (HDU) was formed at Old Sarum, with a handful of early helicopter prototypes, Sycamores and Whirlwinds, to explore their military potential. In 1965 a new Joint Helicopter Development Unit (JHDU) was formed at Old Sarum and it immediately absorbed the former HDU, which became a section entitled "Short Range Transport Development Unit". In 1963 the 622th (Volunteer) Gliding School became based at Old Sarum and the School was amalgamated with the Amphibious Warfare School from Poole in Dorset to form the Joint Warfare Establishment, being equipped with a few Whirlwinds and Wessexes. The final change was the amalgamation of Army Air Transport Development and the JHDU in 1968 to become the Joint Air Transport Establishment (JATE). 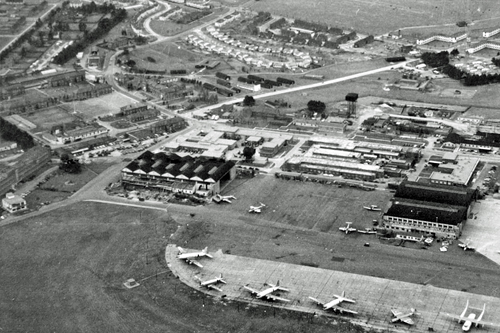 In December 1971 Old Sarum ceased as an RAF airfield, although it served with the Army until 1979. A RAF flying club, the Bustard Flying Club was formed in 1957 flying two de Havilland Tiger Moth aircraft. 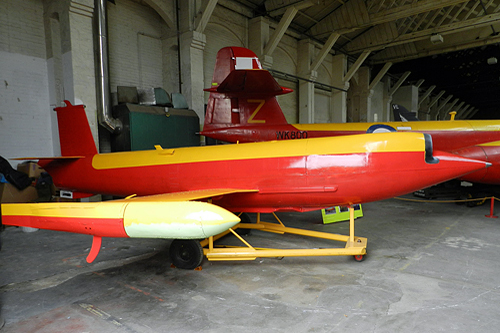 The aircraft were used for flying training, flown by RAF instructors. 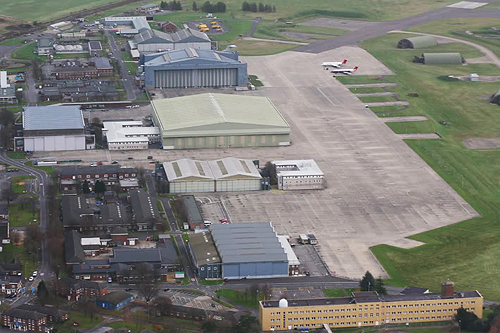 In 1982 the ownership of the airfield was sold to Edgley Aircraft Ltd on a 999 lease together with the freehold ownership of Hangar 1 (later destroyed by fire), Hangar 2, the original control tower and other ancillary buildings adjacent to Hangar 1 and between Hangar 1 and the Portway (now all demolished). All these buildings belonged to the World War I phase of airfield development. 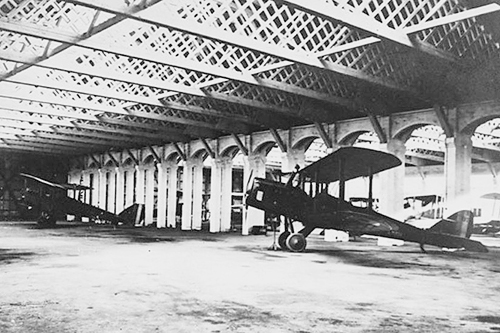 The buildings were used by Edgley for the design and manufacture of the Edgley Optica light observation aircraft and the airfield used to undertake test flying using the runway currently in existence and as defined by the Ministry of Defence in the 999-year lease. In 1982 a licence was granted to Wiltshire Aerospace Club (later Old Sarum Flying Club) to occupy Hangar 3 and the airfield. This was turned into a lease in April 1985. In 1986 the Optica business was purchased by the Brooklands Aerospace Group who continued the building and flying of the Optica aircraft together with other aerospace activities. In 1986 Brooklands obtained a CAA licence for the airfield which formally defined the runway position and allowed flying training to be carried out (initially by the Wiltshire Aerospace Club). In 1989, the Bustard Flying Club moved to Boscombe Down, and has resided there ever since. Following the destruction of Hangar 1 by fire in 1987 Brooklands purchased Hangar 3 (the eastern most hangar). In 1989 the airfield lease and Hangar 3 were purchased by Blanefield Investments (not Blanefield Property Company Ltd) and Brooklands continued aircraft manufacturing in Hangar 2 for a short period before moving onto Hurn airport (now Bournemouth Airport). Old Sarum also played host to the Dorset Gliding Club from October 1981, using Slingsby T.21 gliders and an ex-MOD mobile hangar, before moving to Eyres Field in 1989. Old Sarum Flying Club operated as a civilian flying club from May 1992, offering a variety of training, until ceasing to exist in May 2008. At the turn of the century, the club operated 20 aircraft, including a 1943 Boeing Stearman and boasted over 800 members. Subsequently, a new organisation called Old Sarum Flying School provided flying training along more school rather than club lines. OSFS operated both Piper PA-28's and Aero AT-3's, until the business was rebranded in February 2013 as GoFly UK, a sister company to the Old Sarum-based GoSkyDive. GoFly UK continues to provide flying training at Old Sarum with PA-28 aircraft to the present day, whilst AirSport UK and the Shadow Flight Centre provide training on the Ikarus C42, Sky Arrow and CFM Shadow aircraft. The APT Charitable Trust provides flight training for physically disabled pilots, also using the CFM Shadow. Tiger Moth training and trial lessons are also provided by GoFly. GoSkyDive (formerly SkyDive South Coast) began Para dropping operations at Old Sarum in 2009 and operates a Cessna 208 in that role today, having previously used GA8 Airvan, Cessna 172 and Cessna 206 aircraft. 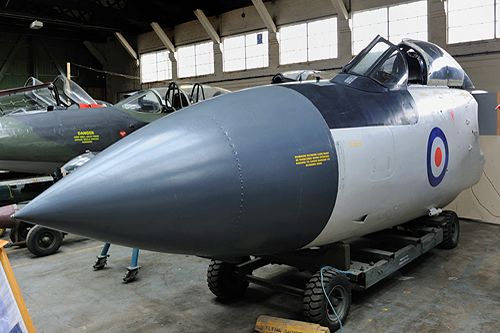 In July 2012 the Boscombe Down Aviation Collection museum relocated from MoD Boscombe Down, and took up residence in Hangar 1. 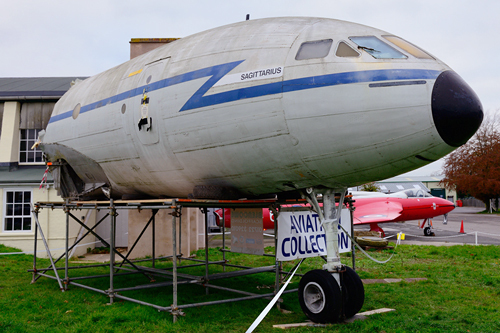 The Collection includes many static aircraft exhibits and has recently expanded in a second hangar to allow operational vintage aircraft to be associated with the collection whilst still flying from Old Sarum. There are still a number of privately owned and group-shared aircraft based on the airfield, the majority of which reside in Hangar 3, in addition to those in Hangar 1 with the BDAC Museum.